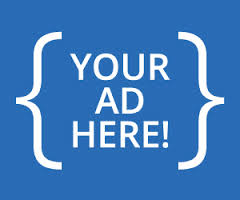 Warri Boy, Chris Doghudje, loves advertising, hates to worry! 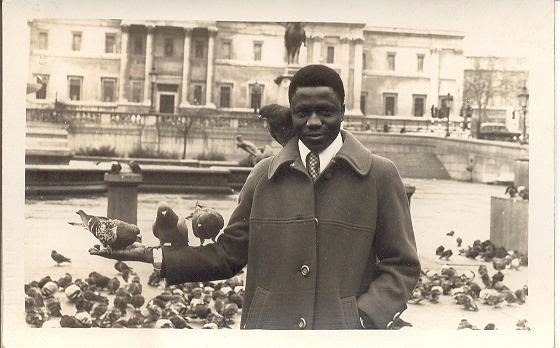 You can catch Chris Doghudje, 75, smiling, chatting and sometimes reflecting on life as a Warri boy. 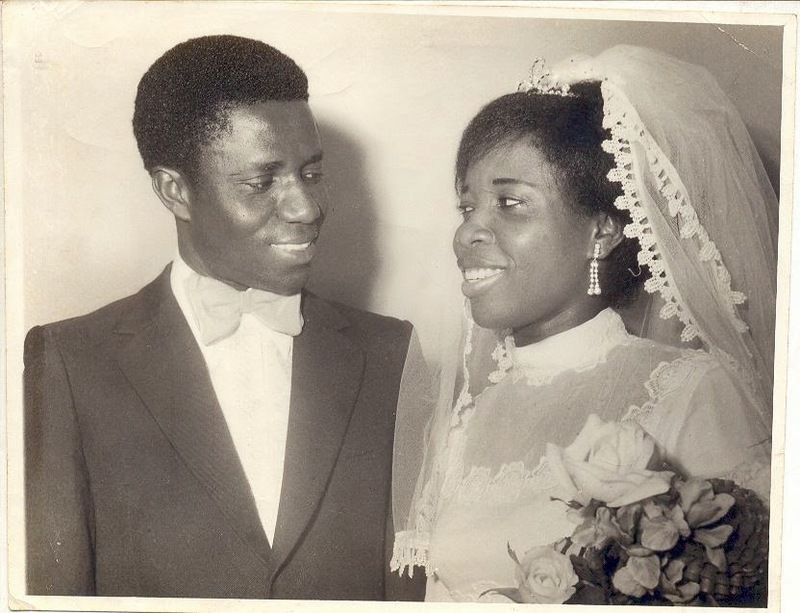 Jelili Atiku has over time caved an identity for himself through his installation works of art. 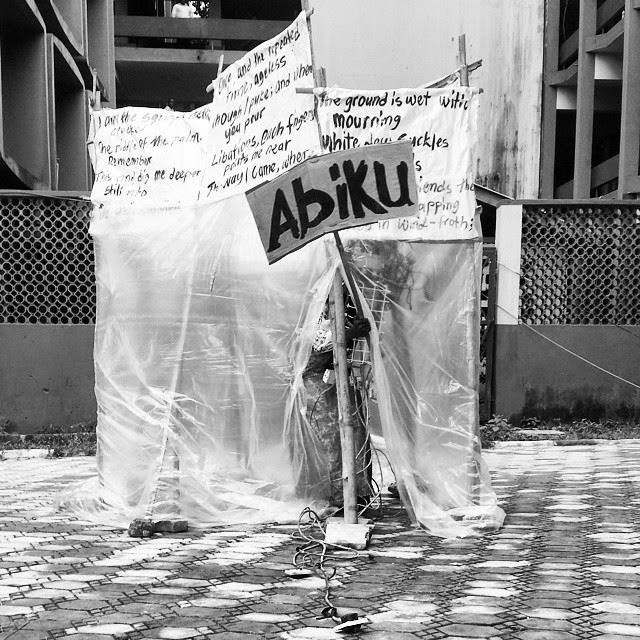 Many times, the works are thought-provoking expressions and Atiku did just that in honouring Kongi, by expressing some of Kongi's works in rare installation forms. Today marks the 100th day of the abduction of the over 200 school girls from the Government Girls Secondary School in Chibok, Borno State. One of the sites where a bomb blast took place in Kaduna. 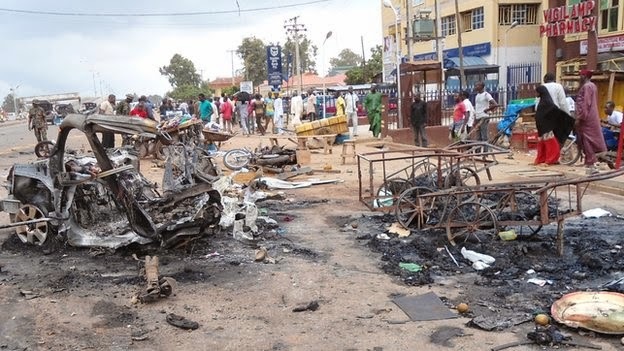 At least 40 people have lost their lives in the twin bombings that rocked the city of Kaduna today, the BBC reports. 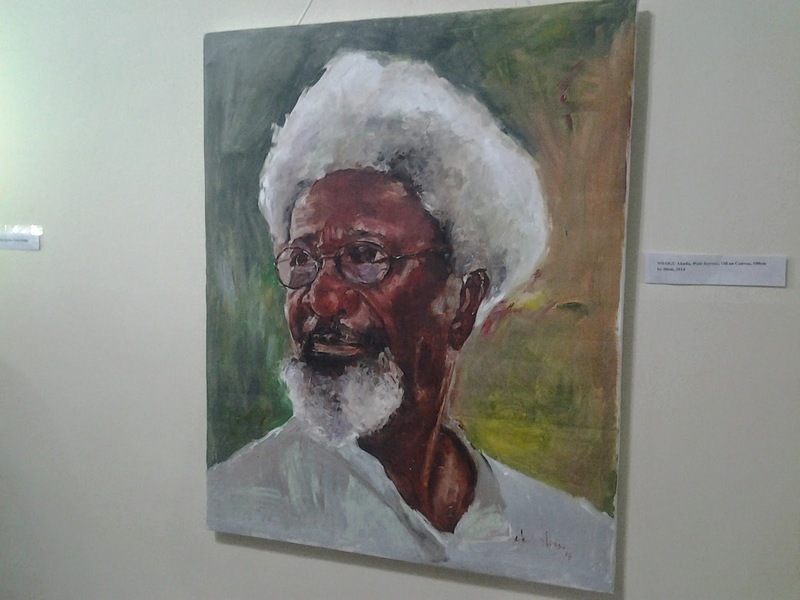 An artistic expression of Soyinka by Nwogu Akudo. 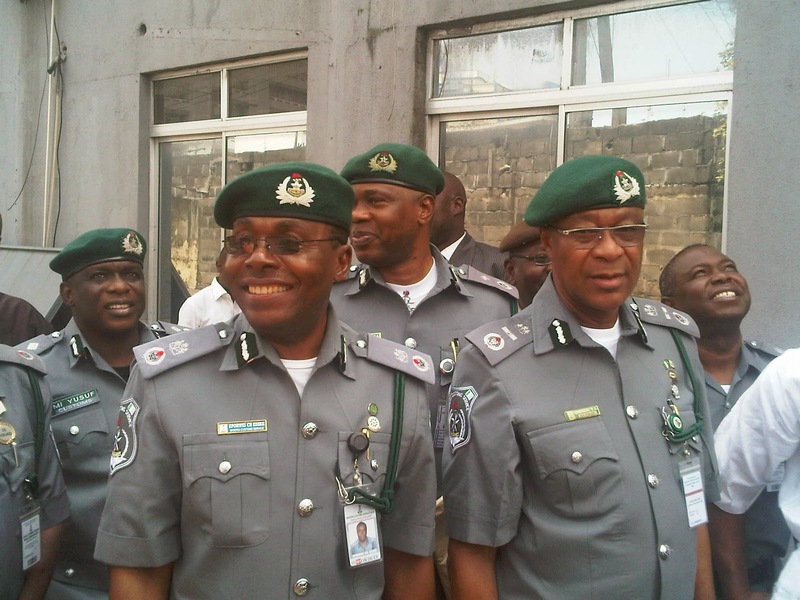 CAC, Charles Edike ; ACG, Victor Gbemudu and other officers during the commissioning of the ICT Centre and a Communication Tower at Apapa Command of the Nigeria Customs Service. 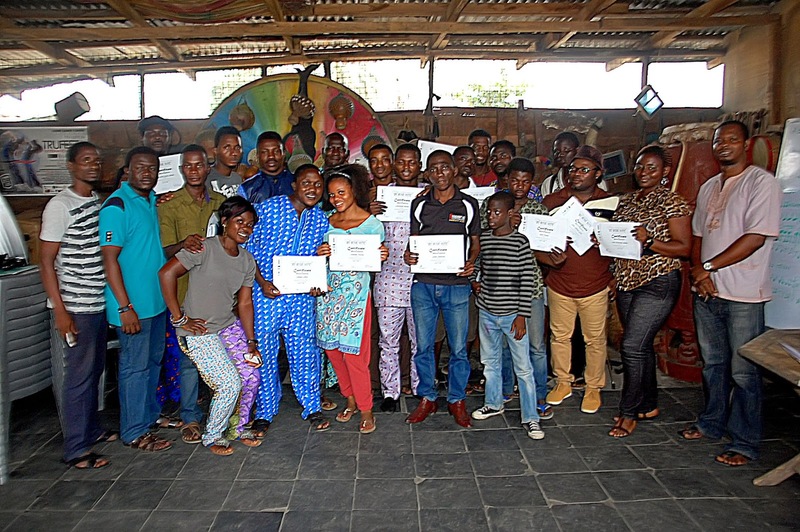 The Apapa Area Command of the Nigeria Customs Service (NCS) has upgraded its Information Communication Technology (ICT) facilities just as it also trained some maritime reporters on various operations of the service, to better equip the journalists with technical knowledge for better reportage of the service. 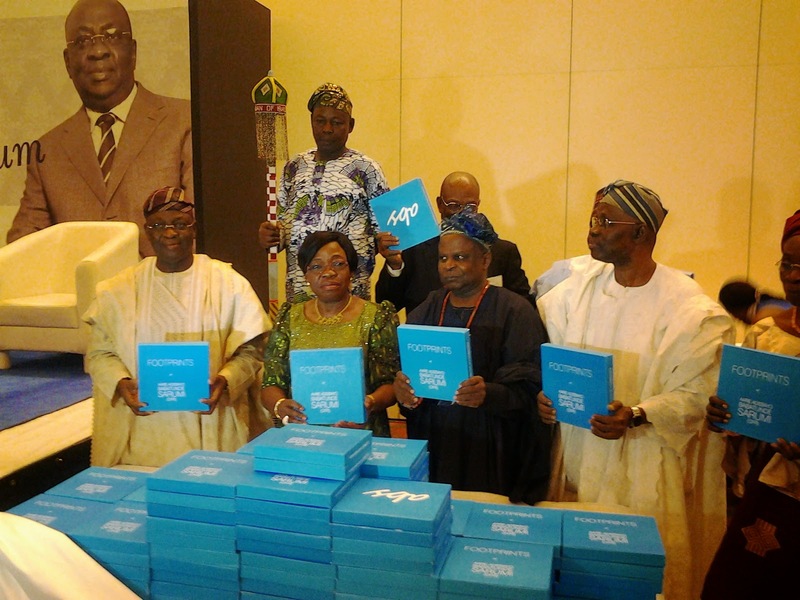 Book Launch: Footprints of Aare Adebayo Sarumi' celebrating a maritime icon at 70! 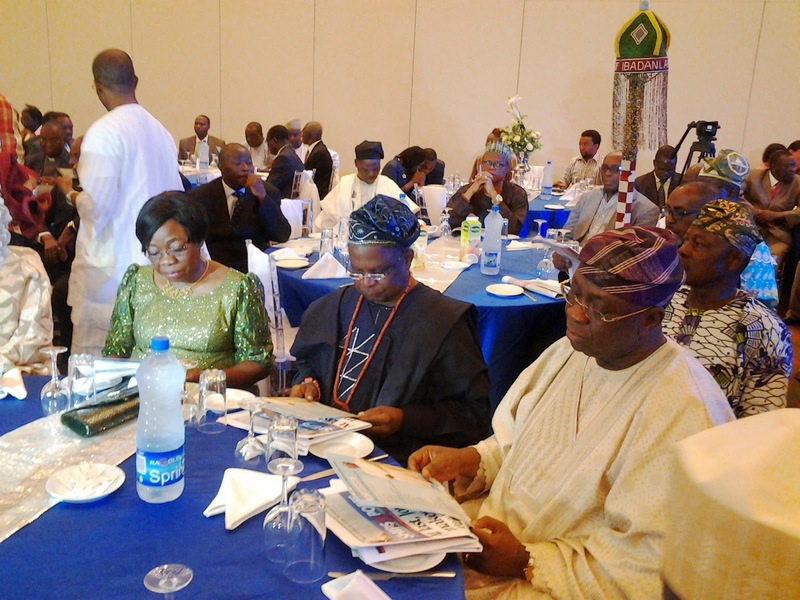 A high-point of the 70th birthday celebration of former Managing Director of the Nigerian Ports Authority, Chief Adebayo Babatunde Sarumi, OFR, was the launch of a book, ‘Footprints of Aare Adebayo Babatunde Sarumi,’ in his honour.